Jordy Liz Blogs: Dear Liam, You are two months old. Dear Liam, You are two months old. 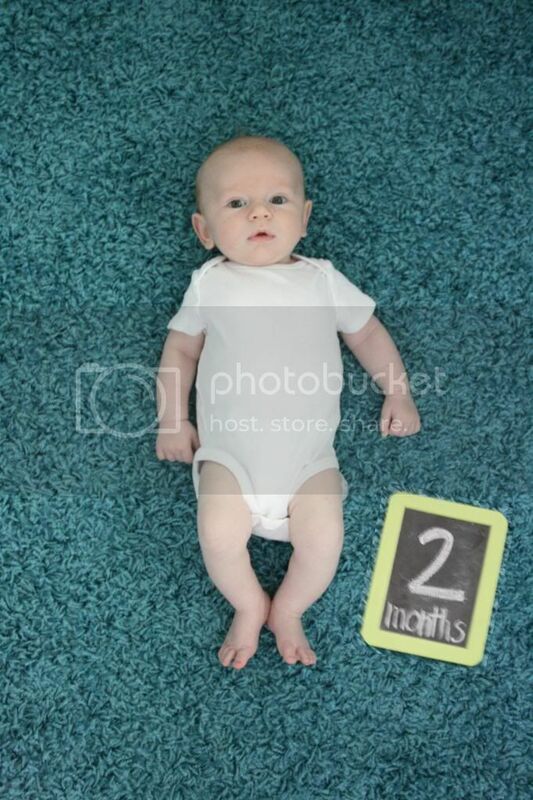 You are two months old. In one way, it feels like it's been forever since we met you. In another, it feels like it is going by way too fast. I'm sure it will be like that for a while. You grew leaps and bounds this last month and your personality is starting to peek out. At five weeks, we introduced the playmat because you are so alert. You love playing on the mat, watching the lights and grabbing at the hanging toys. You also started smiling right around four to five weeks. Your smiles are now intentional and contagious. I remember one night when your dad took over night shifts, I came in your room for the first time in the morning. I came by your crib and you looked up and smiled so big. It melted me. Speaking of, we moved you to your big crib right around seven weeks. You adjusted well and have been sleeping in seven hour stretches ever since. You usually go to bed around eight in the evening, wake up once between two and four in the morning, and then wake up for the day around seven. It's been an amazing difference for us all! You're a long and lean boy. At your two-month appointment, you measured 24 1/4 inches (97th percentile) and 12 pounds 2 1/2 ounces (46th percentile). You were officially in 3 month size clothes by five weeks and have even started busting into a few 6 month size clothes. I can barely keep up with your length and don't even know what size clothes to buy anymore. It's getting hard to predict just how much you'll grow each month. You love the mornings, looking over my shoulder, and finally being swaddled. We love watching you grow and change day to day.